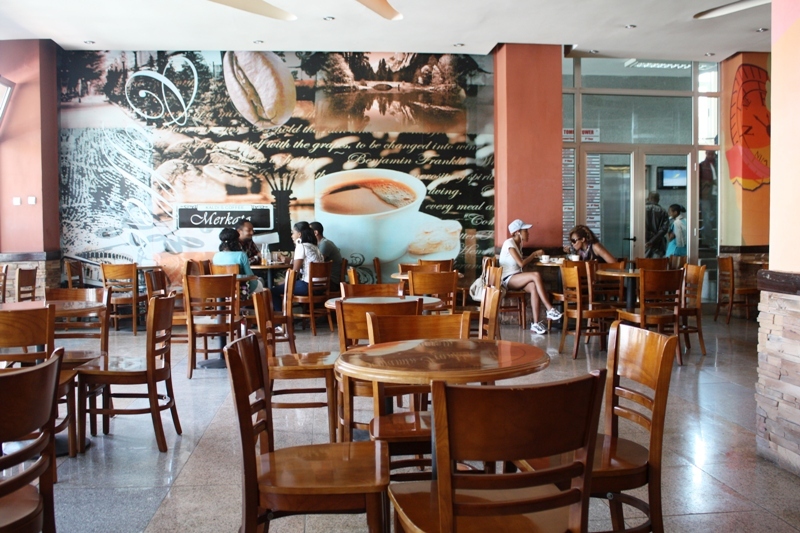 Since Ethiopia is the ancient birthplace of coffee, it makes sense that coffee culture is a big aspect of life in the capital, Addis Ababa. There are all types of coffee shops that cater to all types of tastes and preferences, from authentic old-school joints, to modern American-style emporiums. But wherever you go, you’re bound to get a quality cuppa joe, and meet loads of Ethiopians who are as enthusiastic about coffee as you are. 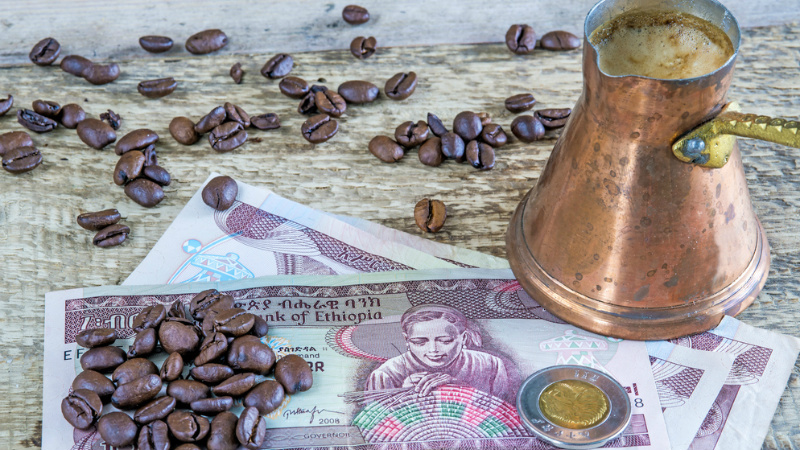 Harar Coffee, known as Mokarar Coffee to non-locals, serves coffee and also roasts its own so you can grab a fresh cup or buy a fresh bag of beans to take home. The atmosphere is humble and cozy at this local favorite, but with that simple décor comes simple, affordable prices and high-quality coffee. Café Choche opened in 2011 in the historical railway building. With a lovely gated, cobblestone patio covered in potted plants, it’s a great place to sit for hours with a book. 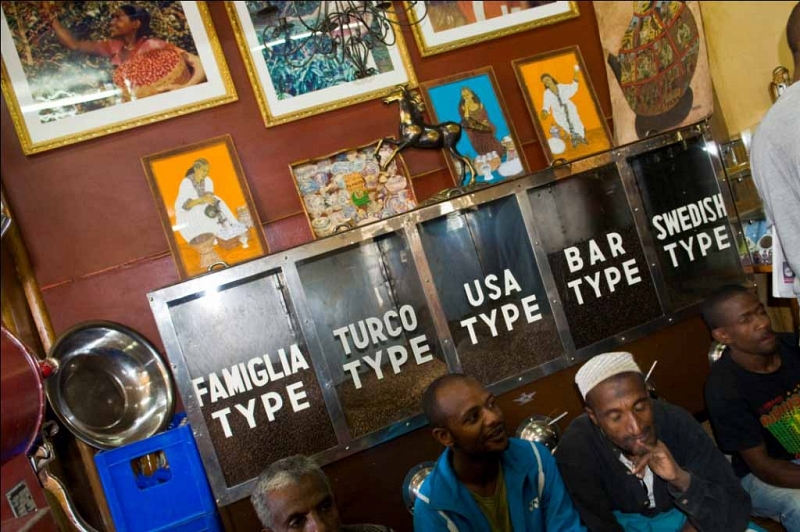 To.mo.ca is the oldest coffeehouse in Addis, having been founded in 1953. The antiquey-looking interior reflects this with wood-paneled walls and vintage knick-knacks hanging everywhere. This coffee shop is Italian-style, meaning you don’t have great big couches and loads of tables to linger at for hours — you drink your java standing up at tall tables and chat with your neighbor. Don’t forget to buy some Harar beans to take home with you. 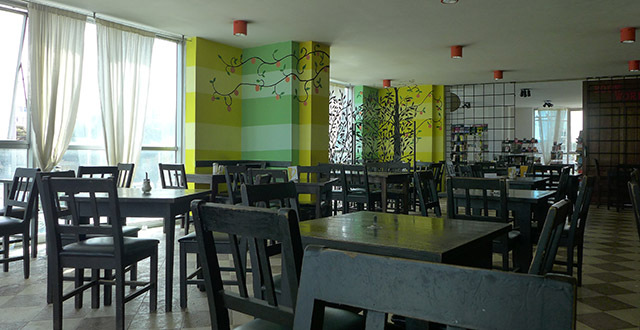 With multiple locations around town, this place is known as “the Starbucks of Addis.” They even have a similar green circular logo. Kaldi’s offers coffee that’s less satisfying than mom-and-pop shops or famous places like To.mo.ca, but better than Starbucks. And like the famous Seattle-based chain, it’s stores have an inviting atmosphere where you can sit for a while, chat with friends, or conduct an informal business meeting. 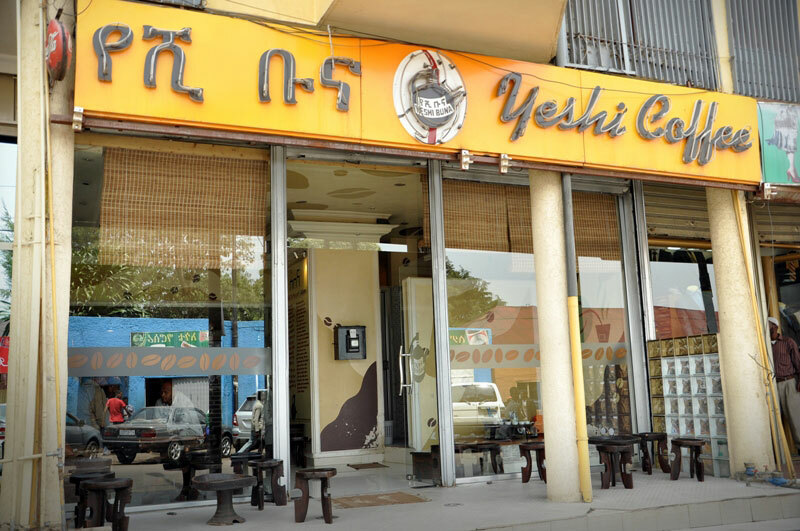 This restaurant chain, which started as a coffee roastery 2005, has expanded to also serve a wide range of traditional Ethiopian food. The eatery offers a triple threat: fantastic coffee, authentic food that’s made with care, and an enticing “old world” atmosphere. This hip spot not only brews a mean cup of joe, but some tasty international breakfast and lunch items as well. You can sit with your laptop and surf the net (when the wi-fi works) while tucking into a macchiato, a glass of their famous lime mint juice, and a plate of enchiladas. Jessie Beck and Julia Austin contributed to this article. Karen Elowitt is the former editor of AFKTravel.